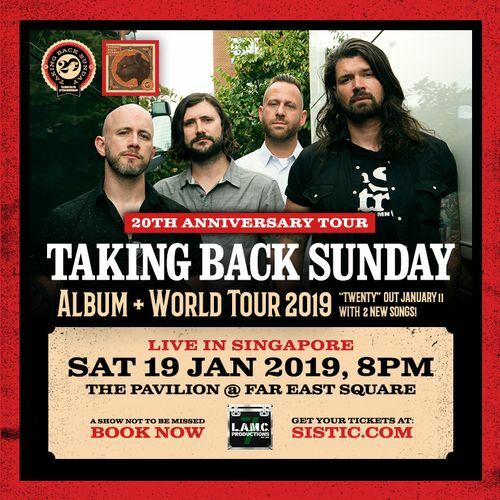 LAMC Productions proudly presents global rock superstars, Taking Back Sunday, live in Singapore this 2019! For more information, please visit LAMC Productions website. See you there! This event is standing, general admission. All ticket prices are stated without including booking fees.